I have been to the South Pole, conducted Search And Rescue operations from Antarctica to the Mojave Desert, performed minor surgery, taught people to fly helicopters and designed complex software solutions. My family and I currently live in Bandera, TX. 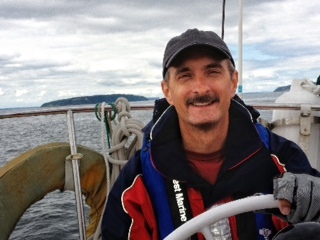 For the first half of 2013 we lived on our sailboat S/V Shannon and cruised the Puget Sound and San Juan Islands. I enjoy designing software solutions, working in Voice Over, writing, photography, sailing and helping people find creative solutions to their problems. If you would like to live a more independent life, then Route To Freedom can help you find a way to do just that. To see a little of our cruising adventure take a look at Route To Cruising. See what I’m up to on FaceBook here. Please let me know you stopped by! I’d love to hear from you. Email me directly at mikerouten (at) gmail (dot) com.